On the daily chart, the pair is trading in the lower Bollinger band. The price remains on the level with its moving averages that are turning horizontally. The RSI is falling, having broken down its longer MA. The Composite is approaching its strong support. On the 4-hour chart, the pair is trading in the lower Bollinger band. The price remains slightly below its moving averages that start turning down. The RSI is about to test its longer MA, having left the oversold zone. The Composite is growing, having broken out its longer MA. 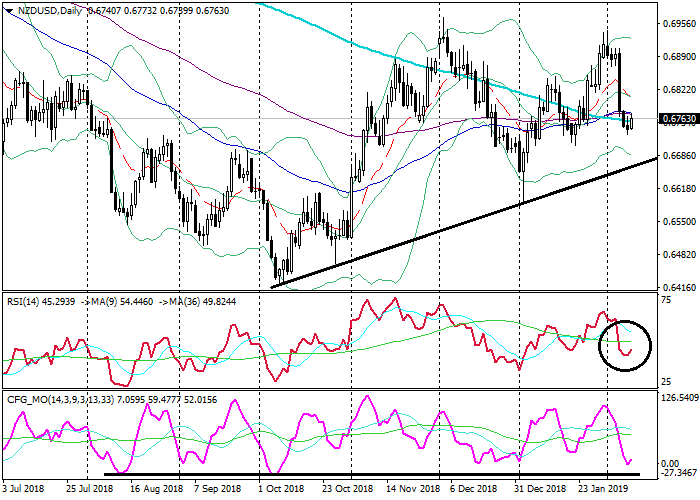 Support levels: 0.6700 (September 2018 highs), 0.6650 (local lows), 0.6610 (local lows). Resistance levels: 0.6780 (local highs), 0.6840 (local highs), 0.6870 (local highs). The price is approaching its medium-term ascending trendline. There is a chance of an upward reverse. 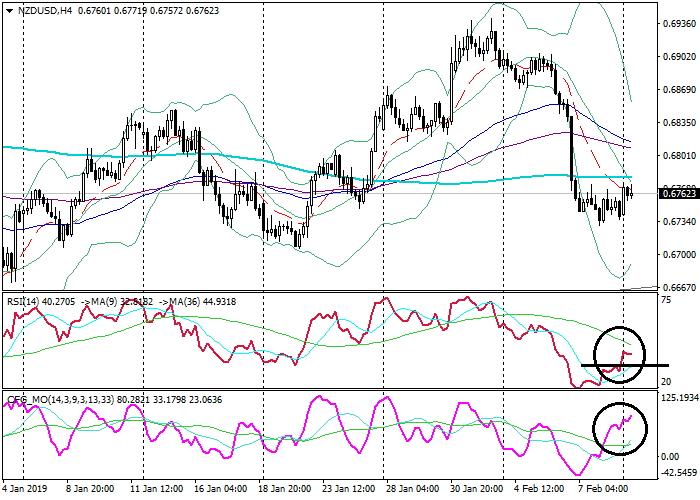 Long positions can be opened from the level of 0.6780 with targets at 0.6840, 0.6870 and stop-loss at 0.6745. Validity – 3-5 days. 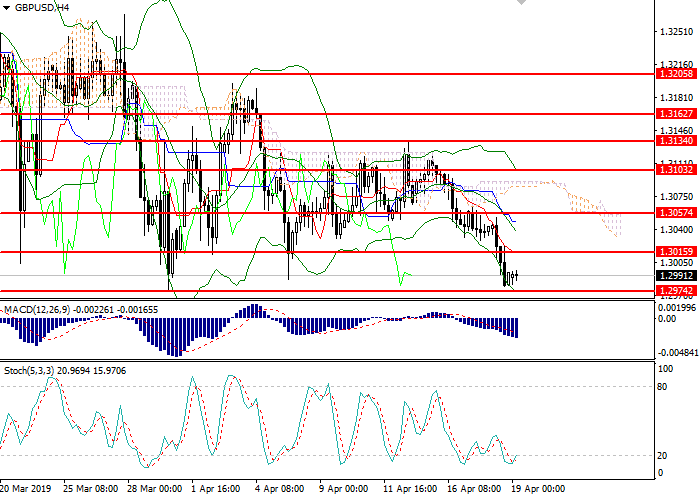 Short positions can be opened from the level of 0.6700 with targets at 0.6650, 0.6610 and stop-loss at 0.6740. Validity – 3-5 days.